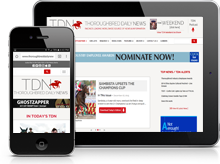 Following the completion of the foal and breeding stock sales in Great Britain and Ireland, there has been much comment about the state of the bloodstock market. While the middle and top end have arguably never been stronger, the bottom end of the market has plummeted to a state not seen since the years following the worldwide financial crisis a decade ago. It is easy to gloss over what has happened at the bottom of the market as being a result of overproduction leading to supply exceeding demand. However, to do so perhaps oversimplifies the situation and also fails to give adequate attention to what a weak bottom of the market means to small breeders that are the foundation on which the entire Thoroughbred industry is built on. Thus, it is worth delving into the figures to illustrate just how bleak the bottom of the foal market is and discuss what has brought it about and what it all means. 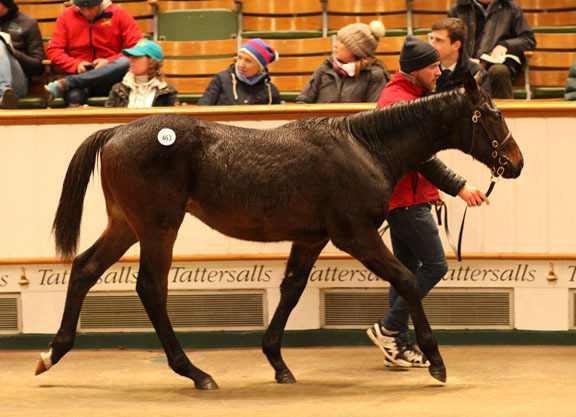 For this purpose, the sales that have been examined are the foal section of the Flat Foal & Breeding Stock Sale at Tattersalls Ireland, Part 2 of the November Foal Sale at Goffs and the first day of the December Foal Sale at Tattersalls. Those that have read my analysis of bloodstock sales on these pages in the past will know that in an effort to properly contextualise the sale results, a fixed production cost is added to the published stud fee to level the numerical playing field. While each breeder has different circumstances, the figure that has been settled on as an industry average for keep and assorted costs from birth up to a foal sale is 4,000gns. For the Irish sales, this figure has been converted to €4,750 using the average exchange rate from the beginning of 2018 up to the end of November. In total, there were 422 foals offered between the aforementioned sales at Fairyhouse and Goffs of which 240 sold for a clearance rate of 56.4%. Of those just 32 (13.3%) were profitable for the vendors after stud fees and production costs were considered. Of those 32 profitable sales, 18 of them made a profit of less than €5,000 and only 10 made a profit of €10,000 or more. That is the extent of the good news to emerge from the two sales in question. Moving on to the bad news, of the 240 foals that sold, 208 (86.6%) did so at a loss to their breeder. One-hundred-seventy-one of these sold for a loss of €5,000 or more. Seventy-nine sold for a loss of €10,000 or more. Sixteen of them made an eye-watering loss of over €20,000. As bad as that reads, at least those breeders found a buyer for their foals and won’t have to shoulder any more costs. The same cannot be said for the owners of the 182 lots that failed to find a buyer and had to bring their foals home. The figures suggest that this was not a result of vendors putting unrealistic reserves on their horses. Indeed, just seven of those foals had reserves of or were bought back for amounts in excess of their cost. In the vast majority of cases the reserve or figure they were bought back for was substantially lower than their cost. There was simply no one willing to bid enough to meet those conservative reserves. The cumulative stud fees and costs of those 182 unsold lots was €2,272,610, yet none of them could find a buyer. Perhaps most depressingly of all, 59 of those unsold lots either failed to get a single bid or were bought back by their vendors for the minimum bid of €800/€1,000. The cumulative stud fees and production costs of those 59 foals was €690,820. Yet, the market declared that they were all-but worthless on the day of the sale. The situation wasn’t quite as bad at the Tattersalls Foal Sale at Newmarket, but it was still bleak. On the first day of the sale, 254 foals were offered and 154 were sold for a clearance rate of 60.6%. Fifty (32.5%) of those that sold were profitable for their vendors. Eighteen of them scraped a profit of 4,500gns or less and just 22 of them made a profit of 9,000gns or more. On the other side of the coin, 104 (67.5%) of those that were sold made a loss for the vendors. Eighty-three of those sold for a loss of 4,500gns or more, with 43 selling for a loss of 9,000gns or more. Five of them lost 18,000gns or more. However, while the results for those that sold were less bleak than at Goffs, the details of the 100 foals that didn’t sell make for equally depressing reading. Again, this wasn’t a case of vendors putting obviously excessive reserves on their foals, with only 11 of the 100 unsold foals having reserves that were higher than their production costs. The cumulative costs of those 100 foals was 1,288,196gns. Twenty-four of those 100 unsold lots failed to attract a single bid or were bought back for the minimum bid of 800gns. The cumulative costs of those foals was 306,950gns. Despite the huge investment made in them, not one of them attracted a single bid. So, what can be taken from all of this? When confronted with results such as the above, many observers are likely to point the finger at two factors: stallion fees being too high and breeders producing too many low-quality horses. To address the stallion fee theory, I ran all the above numbers again with every stallion fee hypothetically reduced by 20%. This change only resulted in nine of the 208 unprofitable foals sold at the aforementioned sales at Goffs and Fairyhouse becoming profitable for their vendors. On day one of the Tattersalls Foal Sale, the same 20% reduction in stallion fees would only have brought seven of the 104 unprofitable foals into profitability. In a nutshell, while lower stallion fees will reduce the losses of breeders, they are not to blame for the depressing state of the bottom of the foal market. If it isn’t stallion fees that are blamed for these poor figures, most are likely to point the finger of blame at the breeders for what is widely considered to be overproduction of foals from below-standard mares and stallions. The general comment one tends to hear on this subject is that breeders need to up their standards, reduce mare numbers and try to use better stallions. There is undoubtedly some wisdom in this line of thinking, but I am not so sure the full emphasis should be on this line of reaction. The importance of the role played by smaller breeders in the industry, over 90% of whom in Great Britain and Ireland have four or fewer mares, should not be underestimated. They essentially act as the gold panners of the bloodstock world, sifting through the lesser mares and stallions in search of unlikely gems. History is littered with examples of broodmares with questionable credentials proving to be excellent producers after being given a chance at stud by smaller breeders. Likewise, it shouldn’t be forgotten that the likes of Kodiac, Dark Angel, Invincible Spirit and Exceed And Excel started off their stallion careers standing for fees of €10,000 or less and in the main it was the support of smaller breeders that gave them the opportunity to show their worth. While there is no question that breeders can help themselves by being more ruthless in calling it a day with mares that have been given their chance and not come up to the required mark, they should not be demonised for performing what is a very important function in the industry at the bottom end of the market. As well as that, when one takes a step back and looks at the British and Irish racing industries, one can readily question whether overproduction of foals is the actual problem at all given there is more than enough need for the amount of horses currently being bred in Britain and Ireland. The fixture list is crying out for more runners to fill it and there are very few trainers that don’t want more horses to train. Rather than overproduction, the real issue is a lack of people willing to put horses into training to race, particularly at the lower end of the scale. This leads to a weak bottom end of the yearling market which has resulted in pinhookers being reluctant to take chances on cheaper foals at the foal sales. Thus, rather than focusing entirely on the breeders, perhaps we as an industry should be coming up with ways that make the bottom end of the market more attractive to both pinhookers and end users in an effort to grow the market from the bottom up. Auction races hold the most appeal as a means to do this. Auction maidens have increased in popularity in Ireland in recent seasons courtesy of the excellent Foran Equine Irish EBF Auction Series and an increase in the number of such races would be welcomed. Specifically, more auction maidens confined to horses purchased for €30,000 or less would serve to offer more incentive for owners to get involved at that level of the yearling market. As well as that, the introduction of a series of auction nurseries for horses bought for €30,000 or less would also be a welcome addition for those not good enough to win a maiden. Similarly, perhaps, there could be scope to link a series of such lower value auction maidens and nurseries to a bonus scheme that specifically caters to this end of the market. Many of the existing bonus schemes regularly reward those that don’t especially need rewarding and a scheme that zones in on stimulating increased business at the bottom end of the market can only be a positive. With the popularity of ownership syndicates and racing clubs on the rise, we as an industry should be doing all we can to make ownership as attractive as possible. With the bottom end of the market being the most accessible to newcomers to ownership, anything that makes owning racehorses bought at that level more attractive should be encouraged. A strengthening in the bottom of the yearling market will lead to a strengthening of the bottom of the foal market which will keep smaller breeders in the game. All growth starts from the ground, but it requires nourishment and attention from above to stimulate it. Right now, the bottom of the foal market is in bad need of attention. If you’re interested in providing feedback contact Kevin Blake on Twitter @kevinblake2011. Or send your opinion to Gary King [email protected].